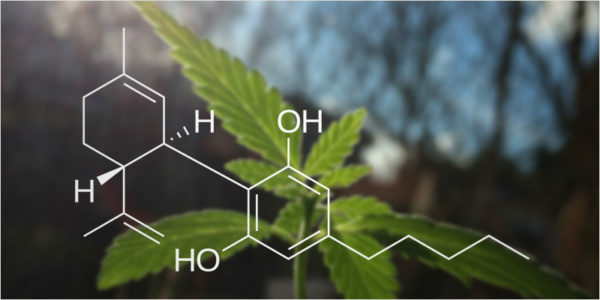 What is Cannabidiol (CBD)? Will it get me high? Note: Not sure which CBD vendor to buy from? For all vendor reviews, click here! So now that the bad news is out of the way (or good, depending on your perspective and beliefs), what’s the good news surrounding CBD? The good news is Cannabidiol boasts a wide range of potential health benefits. In short, CBD is one of the many components that comprise cannabis. Unlike THC (tetrahydrocannabinol), the famed chemical which cannabis is most known for, CBD isn’t psychoactive and therefore won’t get you high and giggling at nothing or paranoid out of your mind. CBD is sold in a variety of forms ranging from oil to flower to capsules. I’ve also come across an individual who swears by dabbing it, but honestly I see zero point in dabbing CBD and causing potential damage to one’s health if the compound isn’t psychoactive. As a product, it is often sold containing a small amount of THC, as some users and scientists believe it to work best and synergistically with the psychoactive compound. I personally prefer it on its own–à la carte, if you will. Where and how can I purchase CBD? The quality and effects of CBD do vary greatly between vendors and products, regardless of whether the compound is acquired from a dispensary or legal online store. Much of it is trial and error, along with proper research. If you’re unable to access recreational or medicinal cannabis products, I’d recommend purchasing online from vetted vendors. You can find vetted lists on the internet, e.g. CBD subreddit. If you do have access to recreational or medicinal cannabis products, it can still be a crapshoot. Try products with good online reviews or ask your provider for their recommendations. Many dispensaries include small but psychoactive amounts of THC in their CBD products, which may be desirable or undesirable, depending on your intent. The good thing about buying from dispensaries is you can ask live questions and get them answered by an expert (hopefully). Like all things cannabis, it’s complicated. From what I understand, CBD can be derived from either hemp or marijuana. If it is derived from hemp, it is legal in all 50 states, but if it is derived from the actual Mary Jane flower, it is only legal in states where recreational marijuana is legal. This is because CBD products derived from the flower will inevitably contain some amount of THC. With the recent legalization of recreational marijuana in states such as Nevada and Colorado, CBD has finally begun to enter the general public’s radar. In fact, Google Trends has shown a steady uptick in “CBD” searches over the past two years. So does CBD live up to its hype? Stay tuned for our reviews as we test out different CBD products to try and answer this question.